Winter can be hard on your skin. With the outside temperatures dropping and the inside heat blowing, our skin is craving moisture. 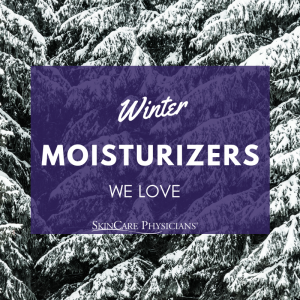 To prevent dry, itchy and cracked skin this winter, our dermatologists recommend these excellent moisturizers – available at SkinCare Physicians. These moisturizers contain important ingredients like glycerin and hyaluronic acid which attract and hold water to the skin, plumping the cells to give them a more youthful appearance. The best time to moisturize our face and body is right after a shower, when the skin is still damp and you can lock in that moisture. For the body, gentle emollients like Cetaphil, CeraVe, Aveeno, La Roche-Posay and Neutrogena work very well. Facial skin can be more complex and requires noncomedogenic products that still meet the skin’s needs. 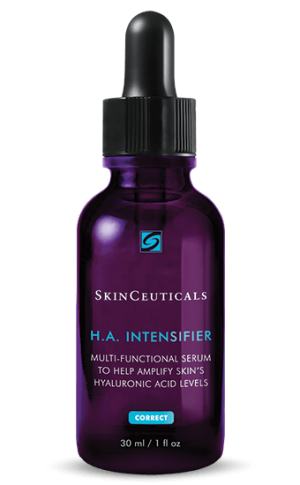 SkinCeuticals HA Intensifier is a serum that contains hyaluronic acid that binds moisture to the skin, leaving it feeling supple and smooth. This moisturizing serum is oil-free and ideal for all skin types, including those with sensitive skin. Dermalogica Super Rich Repair does what its name suggests. It repairs and hydrates the skin barrier with key ingredients such as jojoba oil, shea butter, colloidal oatmeal, and other essential oils. It replenishes even the thirstiest skin while acting as a protective salve to fight extreme cold and dry environmental conditions. It is a wonderful moisturizer for dry to normal skin. 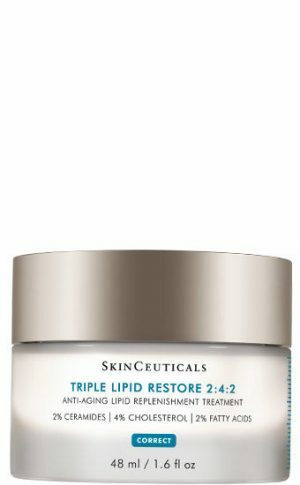 SkinCeuticals Triple Lipid Restore 2:4:2 is formulated with an optimal concentration of lipids: 2% ceramides, 4% natural cholesterol, and 2% fatty acids. This unique combination helps to restore the skin’s barrier, keeping it hydrated and visibly reducing signs of aging. This light weight formulation is ideal for all skin types including those with dry or aging skin. Treat your skin this winter! Stop by the office to get one of these outstanding moisturizers or shop online. Editor’s note: This updated blog was originally published on January 26, 2016.